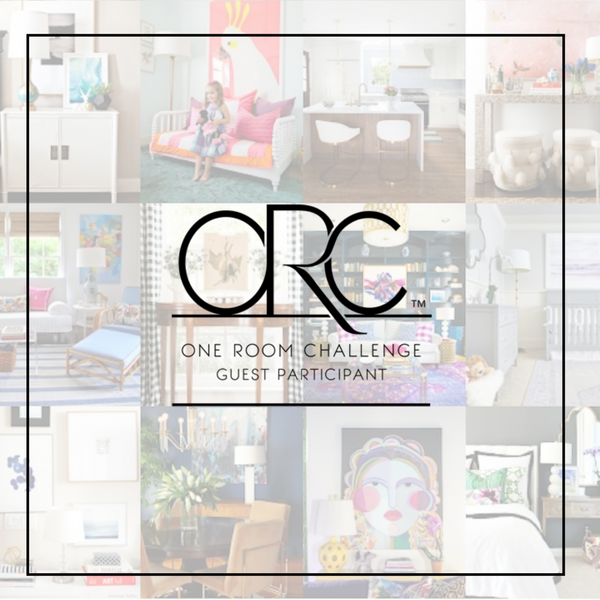 I'm back for week 2 of the one room challenge. I have to be honest, not a ton has been done to the room in the last week other than a little paint. I was out of town from Wednesday- Sunday and haven't had a minute to breath. So today I'm here to share my inspiration for the room and the overall look I want to achieve. As you can see above, the colors are pretty neutral. 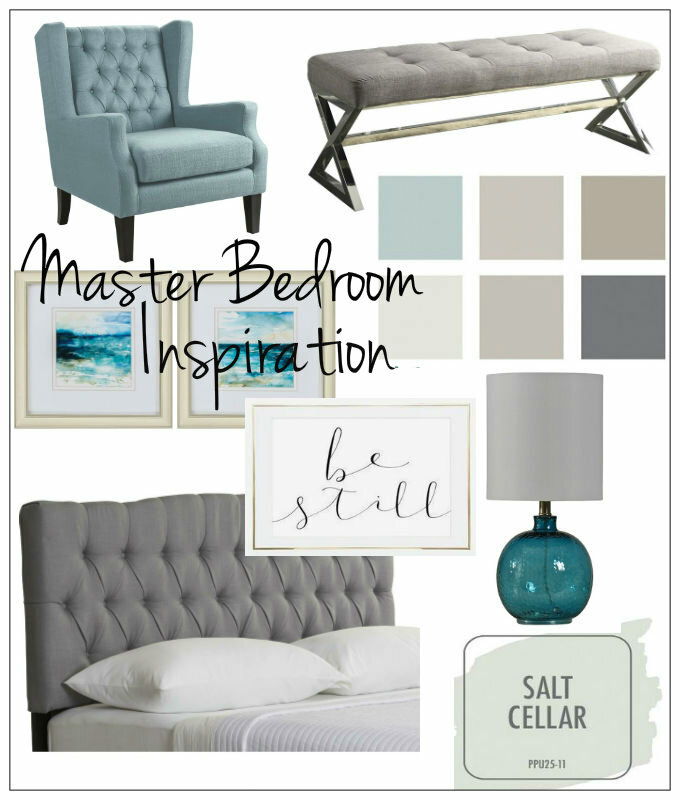 I want a relaxed and serene vibe with pops of that teal that I just love. I don't really love nautical themes but I do like the idea of subtle hints of water elements and picturesque waves. I purchased two beach/ ocean pictures already that will be hung by our nightstands. They aren't the pictures shown above because I couldn't find them anywhere to leave a link. Gotta love Homegoods for all there random stuff! The pictures I got are more muted than the pictures shown above and I'm thinking I want all the colors to be muted. The lamp might even be a little dark for the look I'm going for in the room. We will see though! Mark also has a painting of Ocean Beach in San Diego which I love. It needs a new frame and mat though. The current mat doesn't fit correctly and the sun has made it all look so yellowy. I even tried painting the mat which looked great but I really just think I need a different size to cover up the yellow. It will have to be a custom cut because the painting is an odd size. We purchased this headboard from Wayfair and it was super inexpensive. Mark originally wanted to make one but he's just gone so much that it wasn't feasible. I love that Wayfair has free shipping on most items and things get here so fast. We have it propped against the way right now and I love how it looks. Can't wait to see if when it's actually attached to a bed lol. After many many paint samples we finally decided on Salt Cellar. I really LOVED Ben Moore's Moonshine but it looked dark on our walls and our room barely gets any natural light. Mark kept reminding me that I hate "dungeon" type rooms and would want to repaint it lol. I decided to trust him and go with the lightest color option out of the several that I picked. It looks more gray/ green in the color swatch above but I would say it pulls more blue and is very very light. Mark worked on all the edging while I was gone because I totally stink at that part. My goal is to get all the paint done this weekend... let's see how that goes ha! After that it's time to make a decision about the furniture. To try and paint or not to paint it??? I'm nervous lol. See ya next week for another update!